Disclosure: In exchange for this CoSchedule review I am receiving a discount on my annual subscription. I am also an affiliate. All favorable opinions are my own. But, most of all, I am writing this review because I am a huge fan. CoSchedule is probably my single most used blogging tool. It keeps me focused and on track in my process. to keep track of notes about individual blog posts. There are so many ways that you can use CoSchedule – that I probably haven't even explored all the possibilities. But, in this review I will share with you a few of the ways that I use it. Before we begin, let me give you a little background about my situation. I am a solo blogger with a team of one – me. Currently I am on the Essential plan which is their Individual Plan. CoSchedule also has Business level and Enterprise level plans which are great for teams and collaboration – but I do not have experience with these. You can CLICK HERE to explore all CoSchedule pricing options and sign up for a 14-day free trial. Ok – let's dig in! Let me start at the beginning and try to explain what CoSchedule is, exactly. CoSchedule is a bundle of tools that is designed to help you streamline your content marketing efforts. The main interface is your CoSchedule Calendar. This is a screenshot of mine below. It's all right there in one place, which is fantastic. Once you sign up for CoSchedule, you connect it to your blog. You can access CoSchedule directly through their website and in your WordPress dashboard via their plugin. As a one person show – the editorial calendar is one of my most used features. I can brainstorm blog post ideas and store them all in my “Unscheduled Drafts Bin”. When I am ready to schedule the posts, I simply drag and drop them onto the calendar. Alternatively, I can click into any date and easily create a new post from there. The point is that CoSchedule is very versatile – and you can do things in more ways than one. I also use my CoSchedule calendar to make note of events. To me, “Events” are anything that affects my blog. Whenever I get emails about upcoming affiliate promotions I will drop them into my CoSchedule calendar as events. This way I can decide whether the timing makes sense for me to promote the offer. I will also add holidays as events – because I can keep these in mind when I create content for new blog posts. It also makes sense for me to add school breaks in as events. When the kids don't have school – I don't get as much done on my blog. Having it all in one place is a good way for me to decide how many posts I need to schedule ahead of time. Another major feature of CoSchedule is social media scheduling. You can use CoSchedule to schedule your own content, other people's content (I use their Chrome extension which makes it really easy), or even your affiliate campaigns (usually just for Twitter – not for Facebook, because I need to use the Facebook “handshake” tool directly inside Facebook). So, primarily I use it for scheduling social shares of my posts to Twitter and Facebook. As of now, I do most of my pins to Pinterest manually and do not use a scheduler. One feature that really sets CoSchedule apart is Requeue – which is currently included in the Essential plan. Basically, Requeue will recycle your old social messages and fill any gaps in your schedule. So, you post it once, make sure to turn on Requeue for the post, and the system will re-share it based on the frequency that you set up in your settings. All the darker green posts in the screenshot of my calendar above were placed by Requeue. CoSchedule also gives you the ability to create Social Sharing templates and task templates – both of which are huge timesavers. If you typically share your new blog posts in a pattern – you can create a template. Every time you publish – pull up your social sharing template, fill in the fields, and you are good to go. The same thing goes for repetitive tasks. 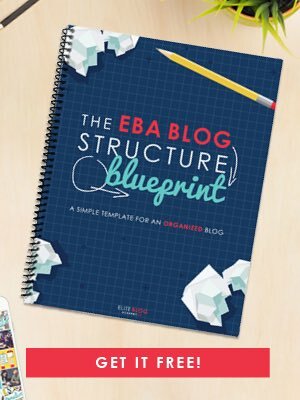 You can create a “to do” list for every blog post or pull up a task template so you don't forget a single step. Inside CoSchedule you can create conversations or comments with your team. But since I don't have a team – I use this space to create specific notes for each post. If I have post specific ideas for sharing, updating, writing future posts, creating custom Pin descriptions, storing a list of hashtags – whatever – I use this space for a mind dump. You can even add attachments if you want. CoSchedule also integrates with third party services like Evernote, Google Drive, Mailchimp and more. This feature is a bit unrelated to the marketing calendar but it is useful nonetheless. When you install the CoSchedule WordPress plugin, it adds the Headline Analyzer tool right into your post editor window. Basically, this tool analyzes your post headline for “quality”. It helps you to craft powerful headlines that encourage social shares. The tool itself is actually free to use on the CoSchedule site. But with a paid subscription you get it right inside WordPress which is more convenient. There are so many features to explore inside CoSchedule. It is so customizable that I don't think any two persons will have a workflow that looks alike. You make it work the way you want it to work. The biggest advantage is that everything is in one central location. You open up your CoSchedule calendar and you can see your big picture all at once. Use this 14 day CoSchedule free trial and test it out for yourself. I don't think I could do without it! I’m so glad that CoSchedule has been such a help to you! We love to help people such as yourself get more organized and get more done. Let us know if we can ever be of assistance!